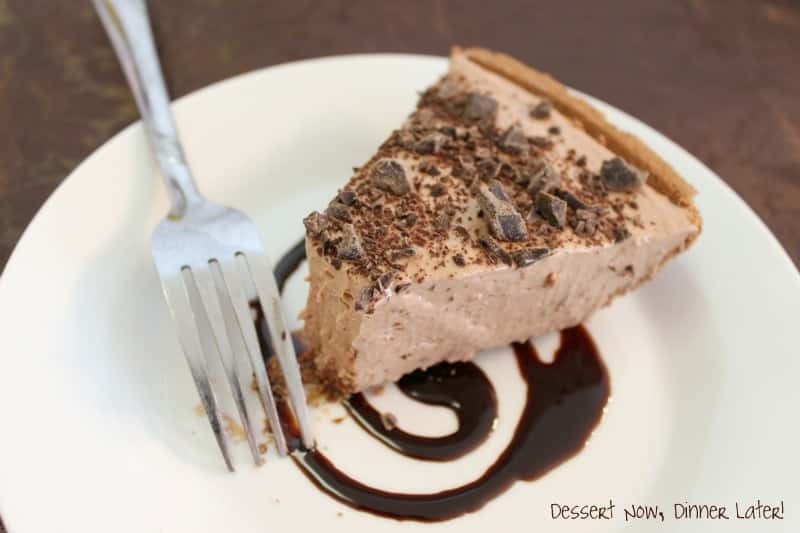 No-Bake Nutella Cheesecake - Dessert Now, Dinner Later! Summer is coming & I am almost done turning my oven on. Enter: No-Bake desserts! This one is incredible!!! 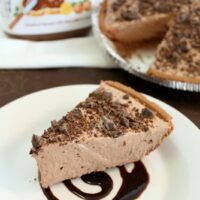 The flavor actually reminds me of The Edwards Hershey’s Créme Pie which is one of my favorite cheater desserts for my lazy sweet tooth days. 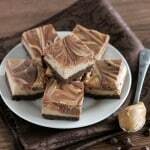 This dessert is great from the fridge or the freezer! Plus, it’s very few ingredients & could not be any easier! Enjoy! Cream Nutella & cream cheese in a stand mixer with the paddle attachment until smooth. Scrape bowl. Add vanilla & mix again. Fold in cool whip with a spatula until no white streaks appear. 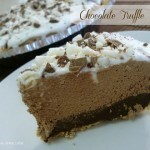 Spread into a prepared chocolate graham pie crust. Top with finely chopped chocolate. REFRIGERATE or FREEZE at least 2 hours to overnight. Remove cheesecake from the fridge, slice & serve immediately. 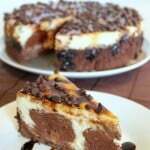 If removing from the freezer, allow the cheesecake to sit at room temperature for 5 minutes before slicing & serving. I LOVE that there are only 3 steps. Thanks for posting this to The Utah Bloggers. I know, it’s so simple, I love it! Thanks for stopping by! 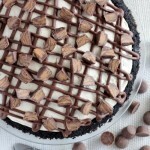 You know how I love a good no bake cheesecake! 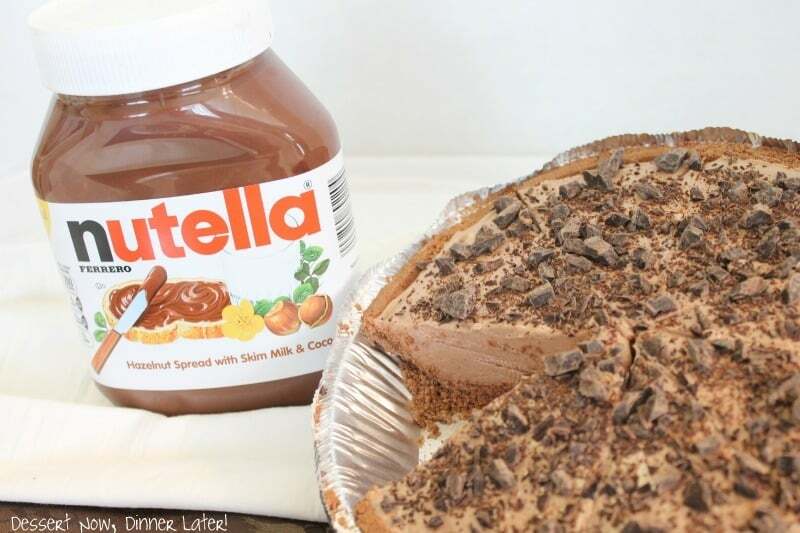 What you might not know is I am in love with nutella and I want this for breakfast!! Oh Aimee! I love ya girl! You are so silly! But I say, why not, have it for breakfast!!! Um…wow…You KNOW I love my cheesecake! Gonna have to give this one a try! Thanks for sharing! This looks so amazing! Pinning! Thanks Sheena, that’s very kind of you to say! It looks amazing! 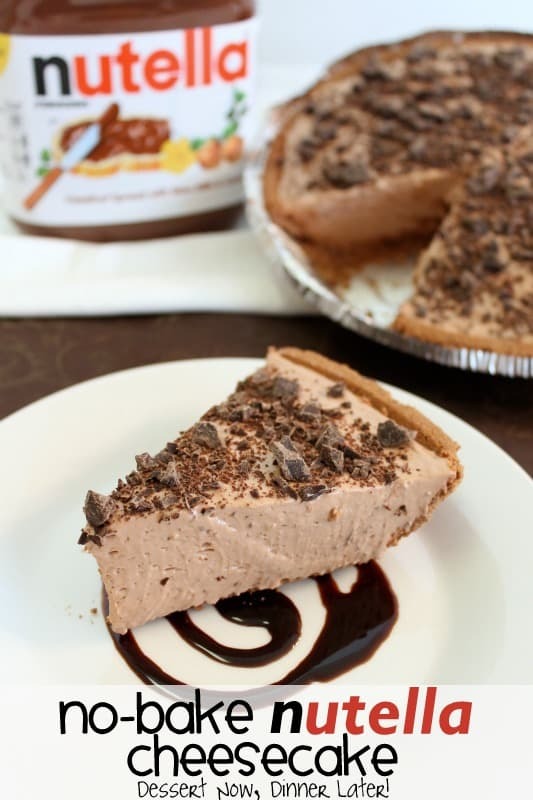 Doesn’t look like your crust is chocolate though, so I’m suspecting that we can use any type of crust we want. Oh, to heck with the crust… I just want the filling anyway! Haha, I’m sorry! My crust was the Kroger Chocolate Graham Crust, but I agree, it doesn’t look very chocolatey. I should have went to Walmart & bought the Oreo one, that would be way better with this! This just might be what I’m taking to our cook out tomorrow. I was looking for something chocolatey and yet easy to make. Love no bake recipes for the summer months! I know me and this would probably make me feel really sick, but I would want to eat it all anyway! Pinning! Ahhh Nutella AND Cheesecake?! Amaaazing and it’s so pretty! 🙂 Pinning! OMG! I want tome now!! I am visiting from Anyonita Nibbles. This sounds so good. I’d love it if you would bring this over to my Saturday Spotlight party to share. http://angelshomestead.com/saturday-spotlight-19/ Hope to see you there! I”m not a Nutella fan myself, but this looks delicious! Thank you so much for linking up with me this week at Tasty Tuesdays! I’ve pinned this & shared it with my followers! Please be sure to stop back by tomorrow & link up your best “man food” recipes in honor of Father’s Day! Looks fabulous! Thanks for sharing! Oh yes, you can substitute it with about 2 cups of sweetened whipped cream (so 1 cup of heavy cream whipped with some sugar & vanilla.) Cool Whip is just pre-whipped “cream” that we buy in the freezer section here in the U.S.
Wow, this recipe is awesome! It tastes amazing and looks gourmet. Thanks for sharing! I’m in the UK and sooooooo want to make this. We don’t have cool whip and no idea what that is 🙁 disappointed. Yes ma’am! You can substitute it with about 2 cups of sweetened whipped cream (so 1 cup of heavy cream whipped with some powdered sugar & vanilla.) Cool Whip is just pre-whipped “cream” that we buy in the freezer section here in the U.S.
Nutella makes pretty much everything delicious! Thanks for the feature Sarah! Delicious and so easy to make. We had a heavy meal and this was the perfect light and airy dessert to finish off with. I’m so glad to hear that Glenda! Thanks for sharing your experience!